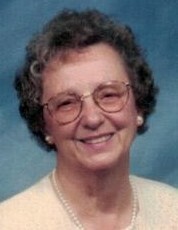 Obituary for Helen Marie (Polozowski) Kausch | DeMarco-Stone Funeral Home Inc.
Glenville – Helen went to be with her Lord and Savior on April 12, 2019. Helen had a song in her heart and daily praised God with songs and hymns and spiritual praise. Her favorite bible verse was “This is the day that the Lord has made, we will rejoice and be glad in it.” She often included this verse in cards or notes that she sent. Helen Jennie Polozowski was born June 29, 1930 in Rochester, NY to parents Victor and Helen Polozowski. She started school at age 4 speaking only Polish. She was confirmed in the Catholic Church and took the middle name of Marie. When she graduated from Benjamin Franklin High at age 16 she was a member of the National and Commercial Honor Societies. Helen worked to save and put herself through St.Mary’s Nursing School. After graduation she enjoyed taking care of babies as a labor & delivery nurse at St. Mary’s Hospital. Helen married her high school sweetheart Albert J. Kausch on June 12, 1954. They lived in California and Ohio then settled in Schenectady, NY in 1958. Together they raised 5 children. In June 1969, Helen realized her need for a deeper relationship with God. She trusted Jesus as her Lord and Savior after hearing Billy Graham on television. After that she actively read her bible, kept prayer journals and sought fellowship at church. Her journals were prolific, one for each year since 1970, until she could no longer write. She was a Prayer Warrior. She prayed fervently for her children. Helen was active at East Glenville Community Church (EGCC) where she attended Bible studies with close friends Helen Buchanan, Nellie Appleby, Melba Higgins, Bev Blowers and Harriet Wilson. She sang in the choir at EGCC for many years. She also sang with the Octavo Singers for several years. Her favorite concert to perform was Handel’s Messiah. Helen had a passion for sharing Jesus with others and especially children. She often volunteered for Vacation Bible School. She was active with the Dorcas and Flannelgraph Ministries at EGCC. They met for Bible Study and lunch then worked to send Bible materials to missionaries. Helen became an active member of the Bible Memory Association and she memorized a great deal of scripture, a legacy that she passed on to her children and grandchildren. In retirement years, Helen and Albert lived in Myrtle Beach where Helen sang in the church choir at Surfside Presbyterian Church. More recently Helen and Albert lived at The Glendale Home. On Tuesdays during the church service Helen's clear soprano voice could be heard singing hymns of praise to her Lord and Savior, Jesus Christ. The Kausch Family is so very thankful to the staff on Dutch Hollow for the devoted care our mother received during her time "at the Home" as we fondly called it. She is survived by her five children Michael J. Kausch, Dr. Albert P. Kausch, Margaret (Mark) Shaver, Joseph (Christine) Kausch, Dr. Susan (John) Richter. Grandchildren, Dr. Kathryn (Dan) Lee, Jeffrey Kausch, Andrew Kausch, Tim (Kate) Kausch, Laura Shaver, Jennifer (Jonathan) Williams, Bryan Shaver, Amanda (Chris) Harrison, Garrett Richter and 9 great grandchildren. A visitation will take place on Sunday, May 5th from 1-3pm at the Glenville Funeral Home, 9 Glenridge Rd., Glenville, with a celebration of Helen’s life beginning at 3pm. Memorial contributions may be made to Schenectady City Mission, 425 Hamilton St., Schenectady, NY 12305. There's still time to send flowers to the Visitation at the Glenville Funeral Home from 1:00 PM to 3:00 PM on May 5, 2019.